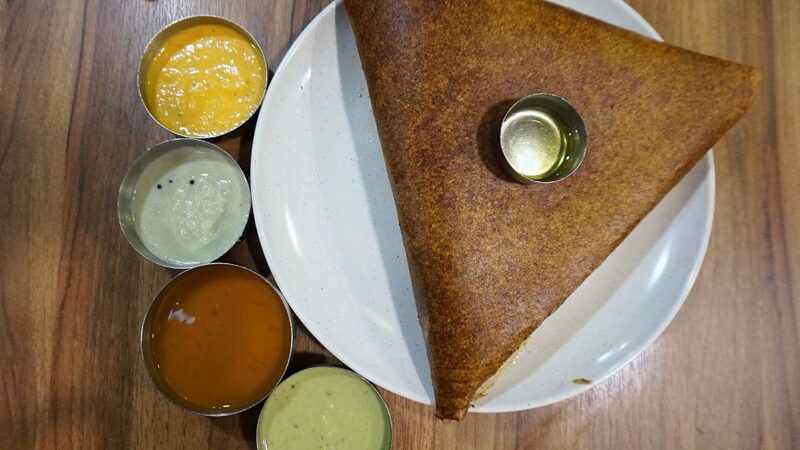 Who doesn’t love a good tosai. 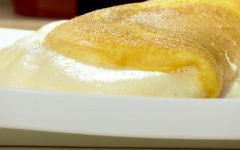 That’s a crepe-like Indian pancake and if you needed that explanation then you’re definitely missing out! 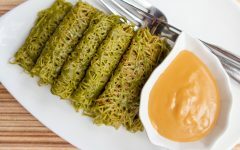 In Malaysia it’s commonly served crispy and thin as paper or soft and folded with accompaniments such dhal and coconut chutney. 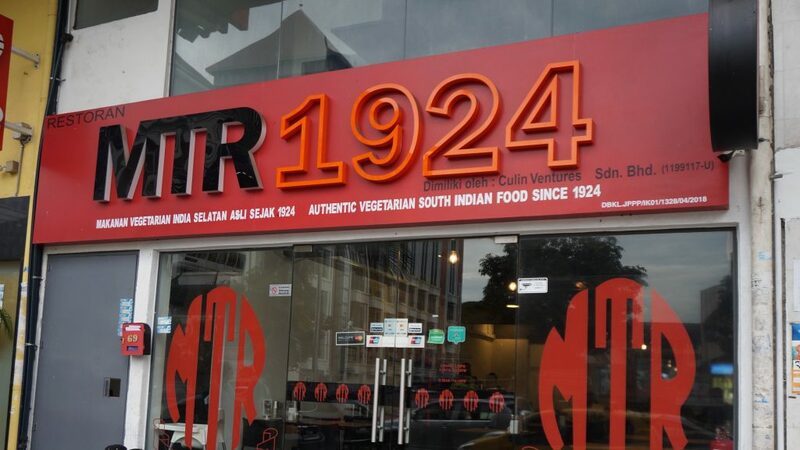 However, if you’re looking for an authentic experience with recipes dating back to almost 100 years, then check out MTR 1924 in Brickfields! Two things you can be certain of at MTR 1924 is authenticity and consistency. In 1924, three brothers Parameshwara Maiya, Ganappayya Maiya and Yagnanarayana Maiya, started a little restaurant in Bengaluru, India, naming it Brahmin Coffee Club and, of course, serving coffee and idlys. It thrived for the next three decades and was renamed MTR or Mavalli Tiffin Room in 1960. 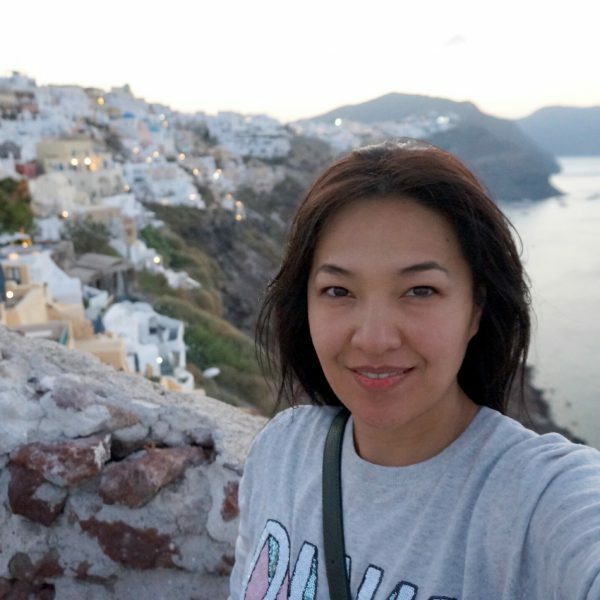 From then on, this humble eatery has grown into a successful restaurant with a serious following all over the world. With Malaysians used to paying between RM1.50 to RM3 for a tosai, you many find the prices here on the steep side. But consider the fact that their spices are imported from a specific source in India to maintain the flavor fans have come to expect. Also consider that each of their tosai variants are made with different batters, meaning no two taste the same. Besides, dining here is like tasting a bit of history. 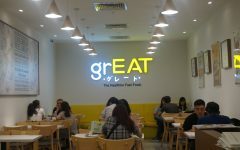 Some of their dishes have little wonderful stories attached to their creation thus making eating a simple idly, for example, feel like so much more than just a tummy filler. 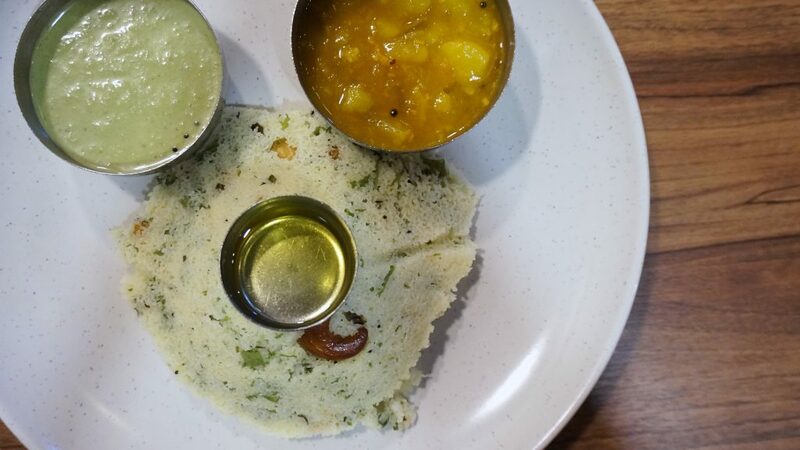 The Rava Idly (RM7.50) is a light dish packed with goodies such as coriander, curry leaves and cashew nuts.MTR 1924’s Rava Idly was created by Yagnanarayana Maiya during World War 2 when there was a shortage of rice. 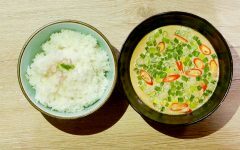 Instead, he used semolina flour (rava) and created what is now one of MTR’s most popular dishes. As you may expect, the highlight at MTR 1924 are their tosais. The Masala Tosai (RM8.50) is stuffed with spiced potatoes and a side of fresh ghee which can be poured over your bread. It’s beautiful play in textures with a crispy skin and soft fluffy layer. Yum! One of our favourites has to be the Pudi Tosai (RM10.50). 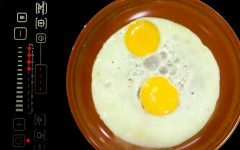 This is a really unique dish which we have never come across before. 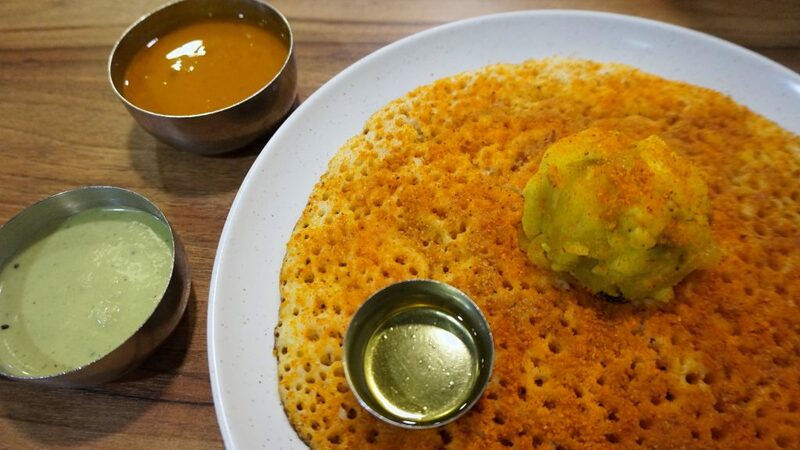 It’s a thick tosai with a crispy skin liberally sprinkled with chutney powder over the top. You’ll get a crunch, a good chew and a hit of savory spicy flavors. Omph! So good. 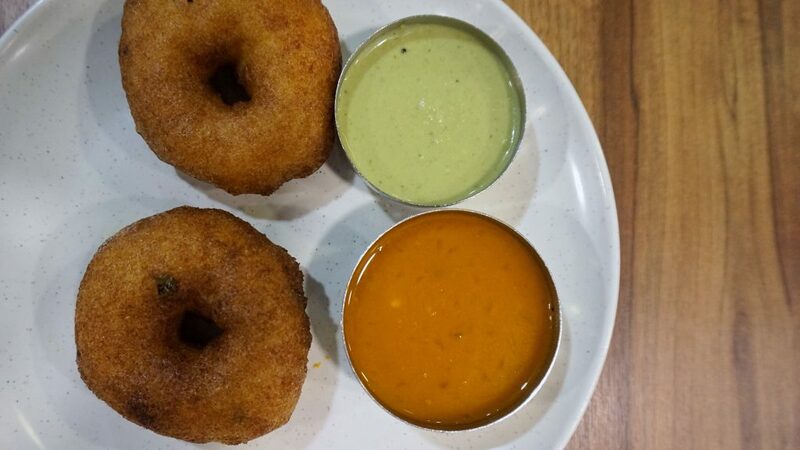 If you’re a fan of vadais, don’t leave without trying the Uddin Vadai. They look like fluffy pillows but are crispy on the outside and beautifully soft and light inside. Addictive! After all that eating, end your meal with Filter Coffee. There’s something special about this coffee. First of all, the beans are sourced from the same place in India for the past few decades. Top it off with buffalo milk and ¼ of an inch of froth and you have yourself a very distinct coffee. It’s robust, yet light, lacking the bitterness of regular coffee. Starting out as the Brahmin Coffee Club with recipes mostly remaining unchanged from the very beginning, we are left to wonder at the conversations freedom fighter might have had back then over a coffee. So, end your meal with a cup of Filter Coffee and let your imagination take you back to what it must have been like back then. Elina aspires to eat well always, make healthy choices occasionally (hey, what is life without dessert), laugh as often as possible and discover more sinful eats to rave about.